When your hands get rough from work and weather, use one of these hand creams for working hands! While hand cream sales go up across the board in the winter, most people’s dry hands don’t compare to your rugged, hard-worn, rock-hard mitts. When you work with your hands, odds are they are going to be dry and cracked. 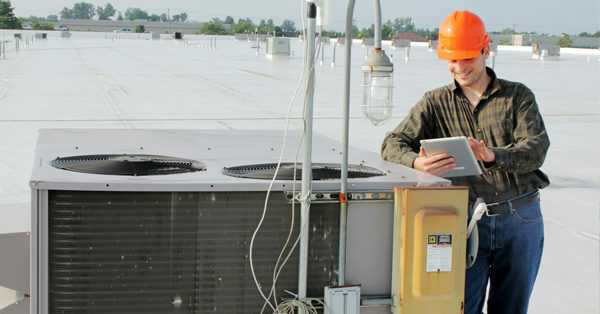 While this may seem like it comes along with your field service job, a little TLC can turn even the roughest working hands soft and supple. Of course, keeping your working hands moisturized might not appear on the top of your to-do list. However, we care about your grisly meat hooks, and took the time to put together a list of the best hand creams for working hands. 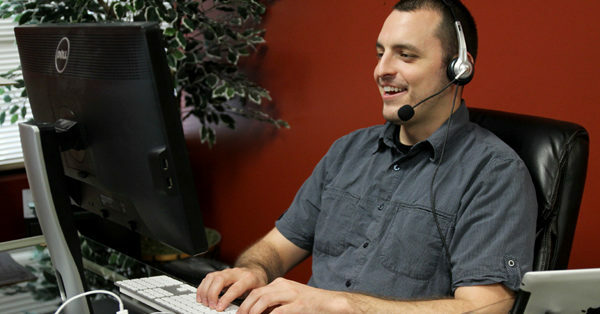 This stuff’s been proven to work by other field service technicians. It’ll do the job and work hard for your hard working hands. 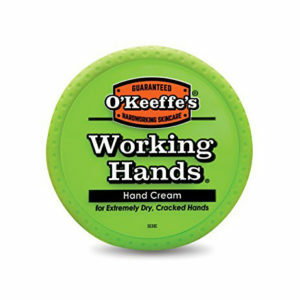 O’Keeffe’s Working Hands Hand Cream is made with working hands in mind. They understand that it is tough to do a job when your hands are dry and cracked. This family-owned business began when Bill O’Keeffe, a rancher, developed chronically dry skin due to his work. His pharmacist daughter, Tara, created O’Keeffe’s Working Hands to help her father. The thick consistency of O’Keeffe’s forms a thin coating around your hands. It is non-greasy, has not been tested on animals, and doesn’t have a scent. Its round container fits easily in large pockets and can be taken anywhere. As far as we’re aware, this hand cream has no connections to the comedic actor Jack Black. Which, to be honest, is a little disappointing. 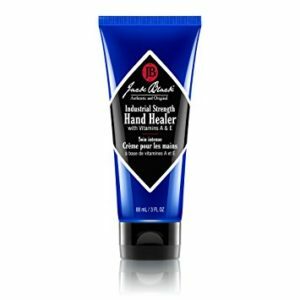 Jack Black Industrial Strength Hand Healer contains vitamins A and E as well as macadamia nut oil and eucalyptus to condition rough skin and cuticles while remaining non-greasy. It has a light eucalyptus smell from the natural oils used in the cream, so it might not be the best choice for somebody who wants an unscented hand cream. However, this cream is vegan for all you animal lovers out there. The hand cream has been tested on golfers, carpenters, chefs and other people with hard-working working hands. 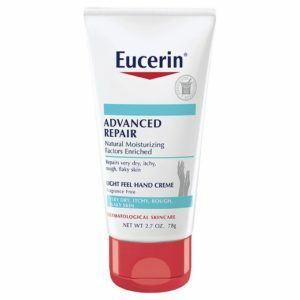 Eucerin creates a long line of moisturizing skin care products. This light feel hand creme dries quickly and is not greasy. While it claims to be unscented, it does have a very light smell. While this does a great job moisturizing, this might not be the choice for you if you work outside a lot. It contains an ingredient called alpha hydroxy acid that can increase your skin’s sensitivity to the sun. So lawn care professionals should probably avoid this one! This all natural product is the best solution for hardworking people looking for a compact tin that offers moisture for dried, cracked hands. 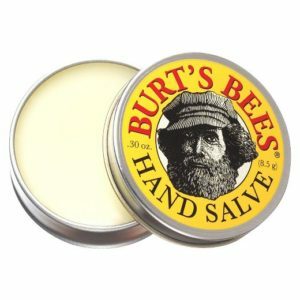 It has the classic Burt’s Bees smell and light herbal scent that appeals to both men and women. Burt’s Bees had humble beginnings, but this craft stand business run by a beekeeper and artist quickly spun into a giant business. Burt’s Bees uses all natural ingredients and produce zero waste! How cool is that? The salve has an oily-balm texture, but quickly soaks into the skin. It is non-greasy once rubbed in. It also comes in a smaller 0.3 oz container for those with really small pockets (or really small working hands?). Although, it might seem weird rubbing something meant for cow udders onto your hands, there is some validation that this must really work on people if it worked on cow udders first. Farmers using the product on their cows realized quickly that their hands became smooth after use as well. Udderly Smooth, while initially made for cows, does not test on animals. The greaseless hand cream has a light aroma. 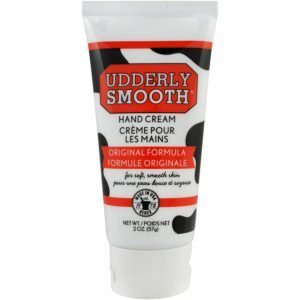 Udderly Smooth hand cream is now used by chemo patients, bicyclists, and other active people around the world. If you’re questioning whether it will work on your working hands, just remember that it worked on working udders. How much tougher can hands be? 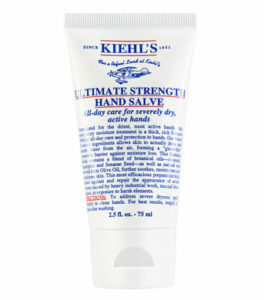 Kiehl’s Ultimate Strength Hand Salve says it is made for active hands. While some don’t like its strong smell, most love its greaseless texture and quick absorption. The company began as an apothecary 165 years ago and evolved into selling skincare and grooming products. Kiehl’s uses avocado oil and sesame oil to create a “glove-like” protective coating around hands to prevent drying.